Don't you hate it when you write something on the computer and the "cursed machine” thinks that it knows better, and constantly, automatically, corrects you, no matter how many times you click "ignore it?" Well, this is what happens with the name of the famous Spuria iris named ‘Wadi Zem Zem’. My computer hates the words Zem Zem. Finally, it made me discover what Mr. Milliken had in mind when he named his Spuria this way. What I discovered surprised me and I am glad that I learned something new. I started my research from the word "Wadi." It doesn't look like an English word, because it is not, it’s actually Arabic. Wadi is the Arabic term traditionally referring to a valley or ravine, bounded by relatively steep banks, found primarily in North Africa and the Middle East. In some instances, it may refer to a dry (ephemeral) riverbed that contains water only during times of heavy rain. Wadis are located on gently sloping nearly flat parts of deserts. Permanent channels do not exist due to lack of continual water flow. Wadis also show braided stream patterns because of the deficiency of water and the abundance of sediments. Wadis are generally dry year round, except after rain. The desert environment is characterized by sudden but infrequent heavy rainfall, often resulting in flash floods. Crossing wadis at certain times of the year can be dangerous as a result. Uadi Zemzem (Wadi Zem Zem) is a wadi in Libya (Africa). It is located at an elevation of 26 meters above sea level. Its coordinates are 31°24'0" N and 15°16'60" E. So it is interesting how Mr. Milliken, living in Arcadia, California, knew about this distant and remote place on Earth in an era without computers, TV and the time where radio, books and National Geographic magazine were the window to the unknown world. It was also during WW II and I am sure that he didn't have a lot of knowledge about the military actions of British Army in Northern Africa. But, he heard something about the battles in the area and named the new Spuria introduction after one of the locations of these battles. We would have never known about this place without Mr. Milliken, as we are not expected to know the details of British Army operations, and it would have been forgotten, if not for one British soldier named Keith Douglas, born in 1920. 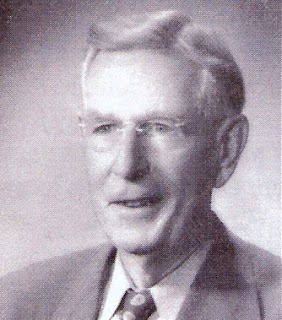 Douglas wrote the small book titled "Alamein to Zem Zem," which is a military memoir of the Western Desert campaign of World War II. Written by Douglas shortly before his death in action in Normandy on June 9, 1944; it was first published in 1946. I think Mr. Milliken heard about the battle in Wadi Zem Zem and the young British poet-soldier who sought about the sacrifices of soldiers from all nations, naming his new spuria in order to pay tribute to those who fought evil. Douglas names, El Alamein, a small town in Egypt on the Mediterranean Sea, (66 miles from Alexandria and 149 miles from Cairo); Zem Zem is in Libya, and there the story ends. 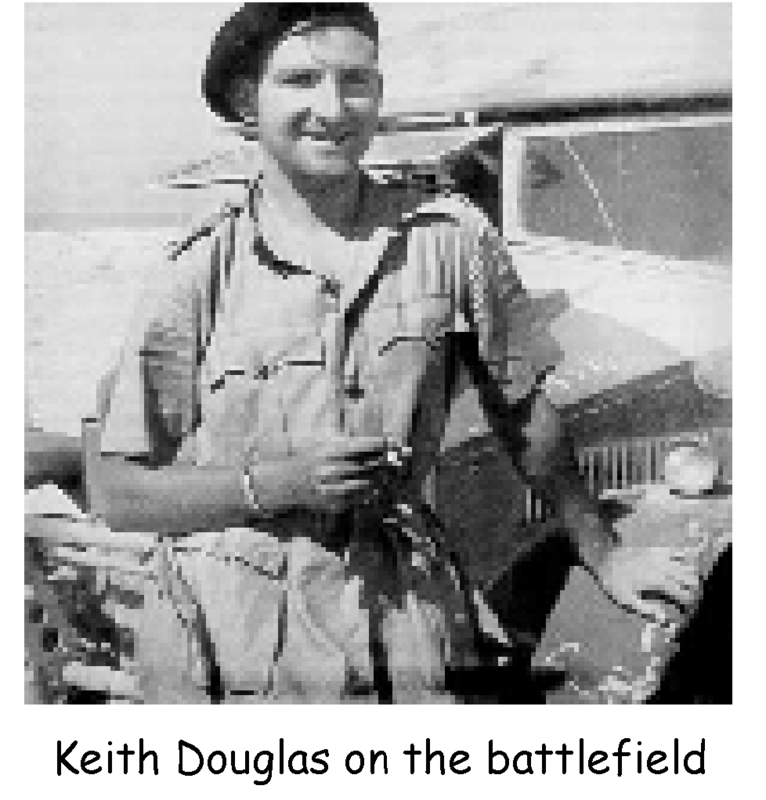 The book is mainly a personal account of Douglas' experiences as a young tank commander with the Sherwood Rangers Yeomanry of the British Eighth Army at the Second Battle of El Alamein in October-November 1942. 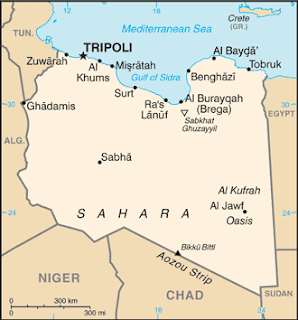 Zem Zem is the name of a wadi in Libya where Douglas was wounded in early 1943. This classic war book was written by one of the finest poets of WWII. Keith Douglas was posted to Palestine in 1941 with a cavalry regiment. When fighting broke out at El Alamein in 1942, he was instructed to stay behind as a staff officer. But he wanted to fight, and so, completely disobeying orders, he drove a truck to the location of the battle and participated as a tank commander. Alamein to Zem Zem is a vivid and unforgettable description of his experiences on the desert battlefield, seen through the eyes of a poet-soldier. "Highly charged, violent descriptive prose ... conveys the humor, the pathos and the literal beauty of the dead world of tanks, sand, scrub and human corpses. Scenes of unforgettable pity and terror unfold. Everything from flowers carpeting the desert in winter to vanquished enemies, is seen with the poet's eye and the generosity of youth." I need to admit that as much as I hate wars; I was mesmerized reading the Douglas memoirs, his deep humanity and pity for his fallen comrades, but also for his enemies. Alamein to Zem Zem tells of the eerie alien world of desert warfare where the men lived among sandstorms, flies, mosquitoes (not forgetting fever brought out by diminutive sand flies), desert sores, blind valleys, endless wastes of sand, roasting days, frozen nights, mirages and tricks of the light, machine-gun bullets visible against the clear starlight, booby-trapped corpses and derelict vehicles. It's a touching moment when Douglas rejoins his brigade after convalescence and learns who has survived and who didn't. This is a great read and lived up to its billing as a classic war memoir. But here is the description from Milliken Iris Garden catalog, 1945: 'Wadi Zem Zem' (Milliken). "A clear cream colored spuria, remarkably large in size and of excellent shape. The rounded spreading falls are two inches more in width, the standards are erect and open. Height 4 feet. Stock is very limited. $7.50." As you probably noticed, the parentage of 'Wadi Zem Zem' is unknown. Backed by a strong family resemblance, 'Wadi Zem Zem' appears to be a direct descendant of I. monnieri, which was discovered growing in a garden in France. No wild habitat has been found, and although it was given a species designation at the time of its discovery, it is no longer considered a valid species. There are certain morphological similarities between I. monnieri and ‘Turkey Yellow,’ particularly the short recurved style crests unlike those of either I. orientalis or I. crocea but strongly resembling those of I. monnieri, would indicate that I. monnieri is indeed a hybrid between ‘Turkey Yellow’ and I. orientalis, both wild growing in similar areas of Turkey. 'Wadi Zem Zem' won the first ever Nies Award in 1956. It revolutionized the breeding of the spuria irises in two areas. First, it bequeathed to its offspring superior flower form - all of the better yellows in commerce can be traced back to Wadi, one or more times: Combs's 'Golden Lady', Walker's 'Oroville', Ferguson's 'Good Thunder', and Hager's 'Archie Owen'. Also, the influence of Wadi is a force in the genetic background of varieties in all of the wide range of colors of the modem spuria irises. The entrance of orange-yellow coloring onto the scene was the immediate result of crossing ‘Turkey Yellow’ with 'Wadi Zem Zem'. Second, and possibly more importantly, 'Wadi Zem Zem' carries a resistance to the troublesome virus infections in spuria irises, which then it passed on to many of its progeny. All spuria varieties that show resistance to virus damage can be traced directly back to 'Wadi Zem Zem', an important phenomenon for an iris series in which virus infection is the primary malady. Now there are 31 cultivars with 'Wadi Zem Zem' as one parent in its pedigree. I call them “child” of 'Wadi Zem Zem'. Some of them were used in multiple crosses during the following years and some were not used at all. In my original article for Spuria News I show the usage of "children" of 'Wadi Zem Zem' in crosses, and in providing the next generations of 'Wadi Zem Zem' "relatives." 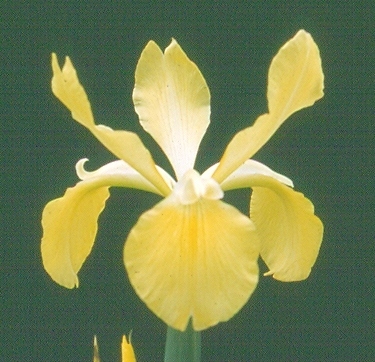 This illustrates how this one iris is in the pedigree of many modern Spuria varieties during about 70 years of iris Spuria hybridizing, and how they are all related to 'Wadi Zem Zem,' 'Turkey Yellow' and I. orientalis. The "children" of 'Wadi Zem Zem' with the most influence in modern spuria varieties are: 'Anacapa', 'Golden Lady', 'Good Nature', Investment', 'Morningtide' and 'Wakerobin'. Grandchildren with the biggest involvements in modern varieties are: 'Burnished Brass', 'Intensity', 'Antiqua', 'Archie Owen', 'Connoisseur, 'Far Out', 'Lydia Jane', 'Plenty Of Sunshine', 'Yellow Wings', 'Baritone', 'Fairfield', 'Windfall’, 'Elan Vital', 'Contradiction' and 'Moon Bay Day'. Because there were not so many Spuria varieties introduced in the last 50 years, children, grandchildren, great-great grandchildren and so on were crossed back and forth, passing the good traits of mostly I. orientalis into the next generations. The Walker Ferguson breeding program from 'Monspur Premier' (Monnieri x Spuria) brought the strongly veined pattern, lending to 'Minneopa', McCown's 'Highline Sunset’ and Hager's 'Sarong’. Also from this line appeared Ferguson's deep blues and violets, 'Fort Ridge' and 'Proverb'. Most of the color lines in spuria irises can be traced back to single origins, as yellow color are traced to I. monnieri. The browns and lavender blues are exclusive developments from the original Nies cross of I. orientalis x 'Monspur'. A progression to better form can be found in the work of Ferguson and Hager from the original 'Elixir' through 'Intensity' to Hager's 'Eagle' and Ferguson's 'Forty Carats'. Hybridizing of white Spurias, which started with the white species I. ochroleuca, was lost along the way and is now re-appearing from more complicated lines. ‘Wakerobin’, the only notable white from Ferguson, is from 'Color Guard', a Nies blue, by yellow 'Wadi Zem Zem'. The problem with the whites is that breeders have been trying to eliminate the yellow spot and by so doing achieve what they consider a more attractive white flower. New whites with disappearing signals are also showing up in lines combining 'Wadi Zem Zem' with lavender-blue flowers, and in seedlings with I. carthaliniae in the background. Breeders are also working for more ruffling, which has obviously been slow of development in spuria irises. Walker's 'Lydia Jane' and Hager's 'Ila Crawford' are impressive whites with this feature. But I think that the point of this article is to show how most of our Spurias in our gardens are so closely related and how most have some traits of Iris monnieri, Iris orientalis and 'Wadi Zem Zem' as distant relatives. Thank you, Mr. Milliken for the gift of 'Wadi Zem Zem' and for connecting the world's past tragic history, geography, the story of a young, talented war hero with the peaceful appreciation of garden Spuria irises in our everyday, ordinary, lives. Editor's Note: The following article first appeared in Spuria News's Fall 2018 issue. Because of the format of the blog, we did not include the extensive chart of Wadi Zem Zem's children. The Spuria Iris Society has a Facebook page and they maintain a website: http://www.spuriairissociety.org, Our thanks to Anna Cadd for allowing us to use her article. If you are interested in Spuria irises, the website will tell you how to join the society.